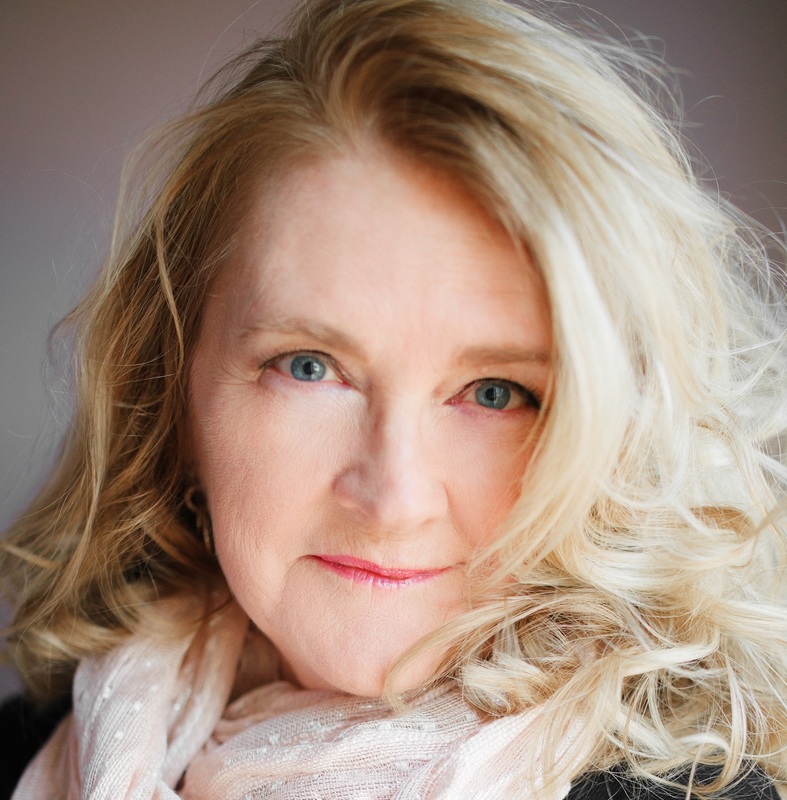 Today, please welcome Joanie MacNeil, an Australian author of contemporary romances. Joanie is very kindly offering up one of her books as a giveaway. Details below. Thanks for guesting on my blog! Thanks Tracy. It is a pleasure to be here. My bookshelves house a range of titles, some read, some not. Authors in my TBR pile include Jaye Ford, Lisa Gardner, Sandra Brown, Nicholas Evans, Janet Evanovich, Elizabeth Chadwick, Tricia McGill, Annie West, and Liz Harris. The list goes on. My favourite author is Barbara Erskine. I have two of her books to read and a few to be re-read at some stage. There are some gorgeous print and digital covers around. It is very hard to choose a favourite. I tend to prefer the soft, pretty romance covers. Casablanca and The Last of the Mohicans contain some poignant hero moments. I am not reading as much as I used to, so all those wonderful hero moments I’ve read and enjoyed are tucked away safely. A Kindle or Samsung tablet or via the Kindle app on my PC. I prefer the large screen for reading research books. As an epublished author way back in 1999 when the industry was so new, I am amazed at how much publishing has changed in recent years. As a writer of category length contemporary romance, there were limited opportunities for publication, and epublishing provided an alternative to the traditional publishers. At that time, epublishing provided access for Australian authors to be published in the US market. Of course, there are more Australian authors traditionally published now in both US and UK markets. I think it is fantastic that there are so many more opportunities and choices now for authors to achieve publication, some options allowing authors control over their careers. I think the book industry will keep evolving before it settles. It is difficult to predict what the future will hold for the industry. Only time will tell. Do you ever skip the “I love you!” scene in your novels? Do you feel you’ve been cheated if they’re missing in other authors’ books? Readers like to hear those words as they reinforce the depth of emotions between the main characters. I do feel it is important for my characters to exchange those three little words. This is in the too-hard basket. As long as there are unethical people using the internet, ebook piracy will continue. While authors report sites selling pirated copies may deter some, it would be a mammoth task to track and shut down all the sites. How can you stop these people from accessing the internet? I think that is what it would take. No. Immortality doesn’t necessarily translate to a happy life. American Sniper. A fascinating read. Looking forward to reading some fiction for a change of pace: either Jaye Ford, Annie West, Barbara Erskine, or perhaps a novel by Liz Harris – she is an author I haven’t read before. Favourite spot in the world? There are so many: a few that come to mind: Scottish Highlands, rugged mountains of Tunisia, the view of the ocean from on board a cruise ship, Gold Coast beaches here in Australia. Somewhere to take in the sights, smells and sounds. Favourite movie? Sweet Home Alabama was my go-to feel-good movie for a while. Casablanca is also a favourite. Some movies are enjoyed more the second (or third) time around. Favourite TV show? Lewis, Dancing with the Stars (Australian Version), DCI Banks, Scott and Bailey. And of course, Downton Abbey. Favourite flower? Liliums. I like combinations of any purple and yellow flowers. Favourite thing to do at knock-off time? If I have had a good writing day, I like to finish early, relax and watch a couple of game shows at the end of the day, before the evening news. When I wrote The Trouble with Natalie, I was aiming for something a little different for my hero and heroine and decided to give them an age difference with the hero being a younger man. Natalie Harrigan knows from past experience that men are trouble, and having a man in her life is not on her agenda. She’d much rather focus on her career. Success in her new appointment to the coveted position of CEO in the recently established Training Advisory Council is her number one priority and she intends to prove she will be the best CEO ever. Enter Luke DeMarco: newly appointed Director of Public Affairs in the Training Advisory Council, and her young brother’s best friend. Luke DeMarco has always loved Natalie from the moment he first set eyes on her at eight years old. Now, twenty years later, she’s more woman than ever, and Luke’s not too worried about the twelve years difference in their ages. Surely his gentle wooing will convince Natalie that age is no barrier to love? But Natalie is his boss. Will she allow him to move from their boardroom to her bedroom? Natalie Harrigan slid further into the warm soothing bath. Wadding a towel into a pillow, she nestled it comfortably behind her head. Fragrant lavender bubbles rose to tickle her chin. A few floated even further above her. Eyes closed, she savored the sweet-scented warmth. The lulling strains of soft Celtic music drifted through the earphones of her Walkman, shutting out the world. Heaven was a scented bath. A warm secure feeling washed over her. Life was good. Here she was, forty years of age, single, independent, and the new Chief Executive Officer of the recently established Training Advisory Council. Her controversial appointment had drawn the attention of both the public and private sector. Natalie promised herself she would make her critics eat their words. She’d make a good CEO. The best. The move to Canberra, back to the family home, meant she would see more of her younger brother whenever he bothered to return to Australia…if he returned. She shuddered, preferring not to think about the hazards of Jake’s job as a top journalist and documentary maker. Though his profession took him to all sorts of hostile places, he seemed to revel in the constant danger of his chosen career. Yes, life was good—with one tiny exception. The woeful evening she just spent in the company of a very forgettable man. Colorless, boring, a typical stuffed shirt. And he’d invited her to stay for breakfast! No, thank you! He was the reason Natalie now sought comfort in a warm fragrant bath. The water soothed her, along with the help of some of her favorite music. A luxurious scented bath was the only place she could think straight and regain her equilibrium. Trouble or nothing, that was the way it was with men, she’d long ago decided. A woman took on a man and all his idiosyncrasies and learned to live with them, or she did without. Natalie felt that doing without a man in her life was the only way to go. Yes, this was heaven and life was wonderful. Luke DeMarco let himself into the darkened house in one of Canberra’s leafy older suburbs. A sense of relief filtered through him. Home at last! This place had always provided a haven for him, with Natalie, and Jake, and their father. Even in the shadows, there was a warm cozy ambiance, echoes of happy times lurking in every corner. If it hadn’t been for the Harrigan family, God only knows what would have become of him. Dead on his feet after the long flight from Europe, Luke hoped he’d recover enough to start his new job on Monday—a job that could make or break his career. At twenty-eight, he was young for such a position and planned to give the appointment of Director, Public Affairs, his best shot. He paused, soaking in the peace of his surroundings. The house wasn’t as musty as he’d expected. Jake had told him he didn’t know when Natalie visited last. As far as Jake was aware, she still lived in Sydney and traveled back to the family home for a weekend every few months. Luke wondered if he’d see her soon. He hoped so. He thought he heard a noise, put it down to the creaks of an old and empty house and made his way in darkness to Jake’s bedroom. Luke flipped on the light switch, then tossed his case on the bed, opened it and took out the essentials. He’d sort out the rest tomorrow. Right now he needed a shave, a long, hot shower, and something to eat. Then he’d crash and sleep for as long as it took. He stripped naked and threw his clothes on a chair, grabbed the toiletry items he’d need and headed to the bathroom. He could almost feel the powerful needles of stinging hot water on his skin and the subsequent relief in his aching body. At the same moment his tired mind registered that Natalie must have left the bathroom light on during her last visit, perhaps as a deterrent against an intruder, Luke flung open the bathroom door. It hit the wall with a bang. A scream rent the air. The shrill sound ripped right through him. Panic forced a similar noise to vibrate in his own throat. He vaguely registered water dripping down the walls before his gaze fell on the terrified woman in the bathtub. He recognized her immediately, though it had been some time since they’d seen each other…and never like this. The bubbles in the bath began to disperse, leaving tempting glimpses of soft cuddly woman. He stood, open-mouthed, and gaped, not too sure if it was because this particular vision of the woman was unfamiliar to him, or whether he would have reacted in the same way if she’d been a complete stranger. Great! How cool was that? Feeling like the same inexperienced eighteen year old who’d had a king-size crush on her, Luke tried to tamp down an inner heat that had begun a slow spiral deep within him. Natalie had finally settled down, but her eyes, still clear light blue and fringed with dark lashes, were rounded with surprise. He’d almost forgotten that nickname, a legacy from when he was learning to ride Jake’s old trail bike. The headphones she’d ripped from her ears a few moments earlier now rested beside the Walkman on the stool at the side of the bath. Natalie looked around for a towel, but the best she could do was try to scoop up the bubbles to cover herself. Obviously, she’d forgotten about the towel behind her head, but Luke wasn’t going to remind her. Why spoil the view? You can find out more about Joanie and her books on her site…and also on Facebook and Twitter (@JoanieMacneil). 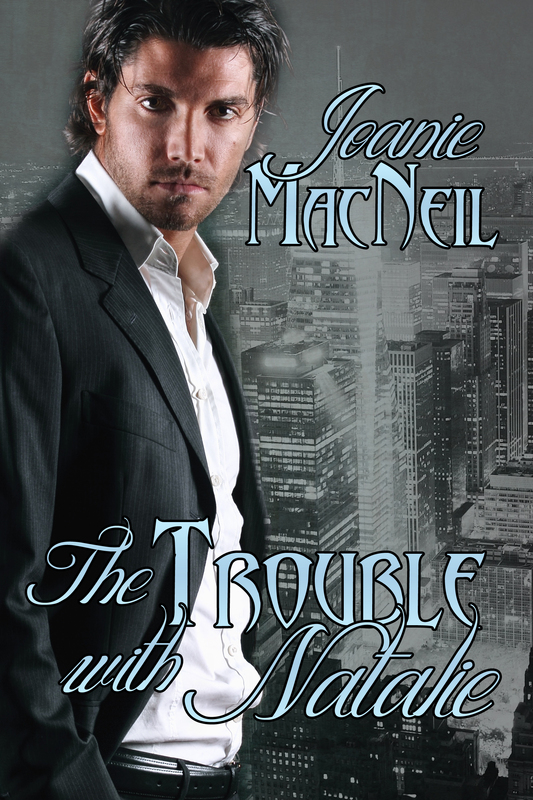 The Trouble with Natalie is available at Amazon. Joanie is offering a copy of her contemporary romance, December Heat, as a giveaway to one commenter. Leave your comments and questions below, and I’ll pick the best of them to win the prize. Kate Hill guesting here next week. What could be better than one of your favorite authors interviewing another author (who has some of your other authors preferences in common with you )? Love finding new authors as there is a whole new list to read, rather than the wait for the next book. So nice of you to say so, Kathi. I’ve never heard of you but would love to try one of your books. It’s stunning how many really great authors are out there that you and I have never heard of, Carol. I love the indie publshing industry. There’s just so much good stuff to discover now…. Wowwww, that blurb from The Trouble with Natalie sure has my interest piqued! I’ll bet the giveaway book is going to be just as good! It is good, isn’t it?